The PTFA Summer Fete is taking place on Saturday. 23rd of June, starting at 1:00pm and ending late in the afternoon. There will be food, games, things to buy and musical performances from all the children and now the addition of performances from the Rocksteady teachers who will also be running Rocksteady workshops throughout the day. Please save the date and tell your whole extended family and friends about it. A letter has also gone out concerning children’s musical performances and timings. Please ensure you have received this. Quality raffle prizes (such as wine, spirits, luxury chocolates, donations from companies/ organisation, tickets to events). Quality bric-a-brac items (such as ornaments, crockery, jewellery, pictures/frames or anything that you think someone else may like). We really appreciate your support on this as it serves a great purpose: improving our fete and also helping the PTFA raise much needed funds for school projects. 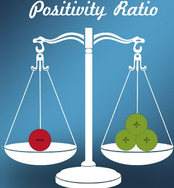 This term, all classes are discussing and exploring the negative bias and positivity ratio. This is the thinking that for every one negative thing someone says, it takes three positive things to balance this negative comment out. Essentially, unkind words hurt! Often, they hurt- emotionally- more than physical actions that hurt. Our behaviour policy states that if a child hurts another child physically they will automatically receive a red card and will be asked to make things right for the victim. We have also added a change that if a child verbally abuses someone and this emotionally hurts them then this action will also receive a red card and the perpetrator will need to make things right for the victim- possibly by using positive comments. We know you will support this as you all want your children to feel emotionally safe at school. Please talk more to your child about this and discuss the power of kind words. A new version of our behaviour policy with the updates can be found on our school website. Our after school club, due to staffing ratios, can hold up to 30 children. We are very close to our maximum capacity each day and as such, to avoid disappointment, we advise booking for the sessions you need at the start of the week, to ensure a place. We will be having our whole school sports day on the 27th June. You are all invited to spectate this most marvellous event. This will be at the Duston Sports Centre field and will start at around 10:00am, with a picnic lunch (that you are welcome to join in with) at around 12:00pm. There will be a letter with more details coming soon. Nursery will be having a separate sports day on the 28th June at school.